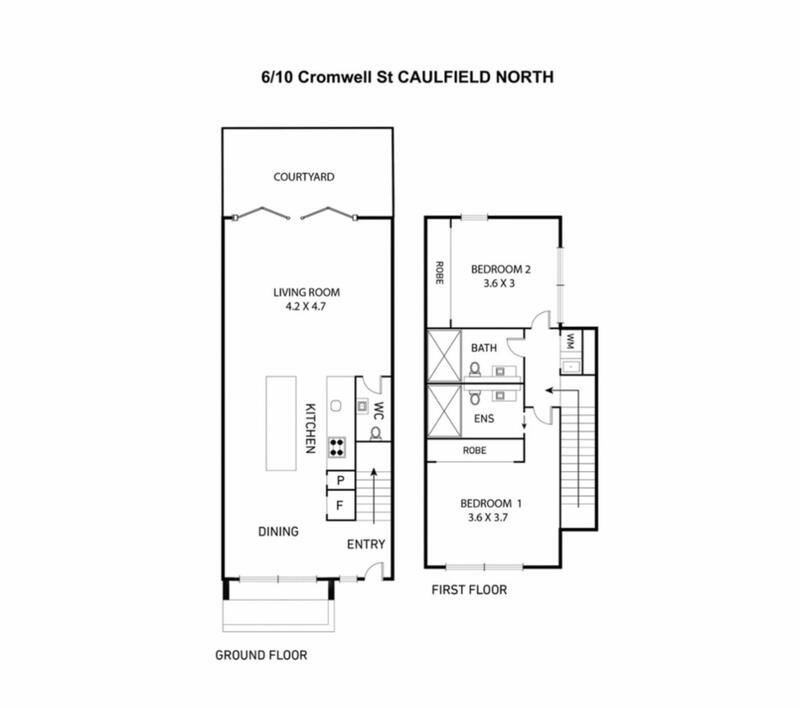 This sensational near new 2 storey townhouse located within walking distance to beautiful Caulfield Park, local shops & cafes, and Caulfield Junctions selection of tram routes offers a low maintenance lifestyle and is ideal for a professional couple wanting some extra space. The ground floor comprises an open plan kitchen – Miele appliances, gas cooking & dishwasher – overlooking the dining area and living space, powder room, and glass sliding doors opening to a fabulous west-facing courtyard perfect for al-fresco entertaining. The first floor comprises the main bedroom with an en-suite bathroom, 2nd bedroom (both bedrooms have built-in robes), European laundry and sparkling bathroom with bathtub. Features include polished floorboards in living areas & w/w carpet in bedrooms, split system heating/cooling in living, dining and bedrooms, roller blinds, secure remote parking for 1 car, visitor parking, storage cage and bike racks. Meters to Caulfield Park, Caulfield Junction cafes, 3 trams and with easy city access via the train or Dandenong Road.